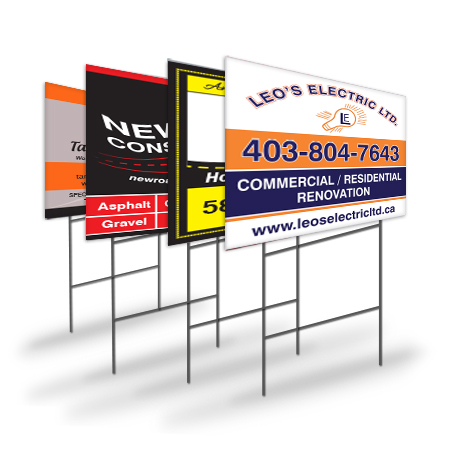 Alberta Printing is specialized on lawn and yard signs whether it is Screen printed or full colour coroplast signs. Coroplast lawn and yard signs is a tough, rigid corrugated plastic that's great for indoor or outdoor advertising. Available in variable thickness and a range of sizes. Lawn signs for a political campaign, an open house, or temporary directional signage for a trade show, coroplast signs are as economical as they are versatile.